A post at Search Engine Watch about Google’s Toolbar PageRank. William Flaiz does a good job of explaining why the Toolbar PageRank should be taken with a very large grain of salt. The current web site design is upside down! Typically site design starts with the home page, laboring over the look and feel. 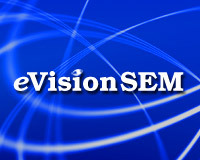 In this article Todd Follansbee, an eVision Usability & Design Consultant, explains the problems with the typical web site design process and describes how to design web sites that convert visitors into leads and business.